Pacific and Caribbean beaches, lowlands and valleys, waterfalls, flora and fauna of the different ecosystems: Rain Forest, Dry Forest, transition forest, cloud forest, mangroves & Coastal Vegetation, and of course all the natural beauty, and the friendship of some peace loving people that Costa Rica has to offer …COSTA RICA, NO ARTIFICIAL INGREDIENTS !!! One of the most beautiful birds! Carara is a birding paradise! 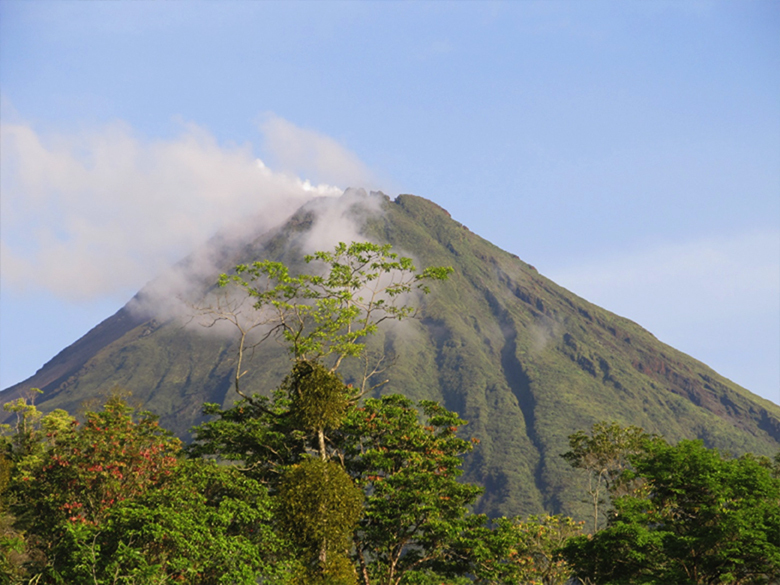 During the morning you will hike on the trails of the Arenal Volcano National Park, a great opportunity to see from close this magnificent mountain, and to get an entirely different view of the surrounding area, including the Arenal Lake, a man-made reservoir that has one of the country most important hydroelectric plants. After breakfast, you will visit an organic farm, example of sustainability in many aspects: tourism, agriculture and living. You will learn how to have over 30 products in less than an hectare, you’ll harvest your own lunch and then you will enjoy it! After breakfast you will get back on the road to transfer to the Central Pacific to the Carara and Tárcoles area. You will drive past the Tárcoles River where you will see enormous crocodiles from above, and past the Carara National Park, a great opportunity to see the transition forest between the dry forest of the north and the rain forest of the south. 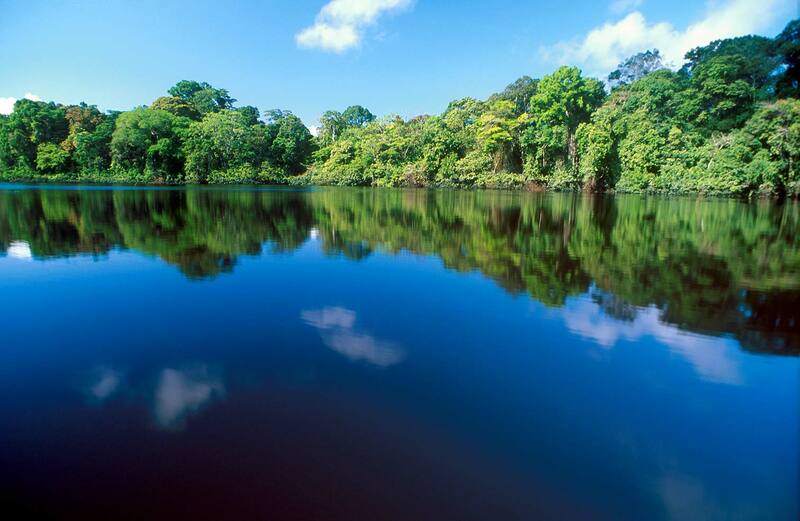 Carara National Park and the Tárcoles River and its mangroves are an extraordinary area for wildlife watching. This location marks the northern limit of the Pacific Rainforest and it is also here where the Tropical Dry Forest from the north stops. This important aspect of habitats converging into one spot produces an incredible biodiversity. Transfer day Drake Bay, through the mangroves of the Sierpe River. This little river port is where you will embark your boat that will take you through the Sierpe mangrove – registered as a Wetlands International RAMSAR site in 1995. Your boat will take you from the river to the ocean, until Drake Bay. You will enjoy an adventure where the river meets the ocean! 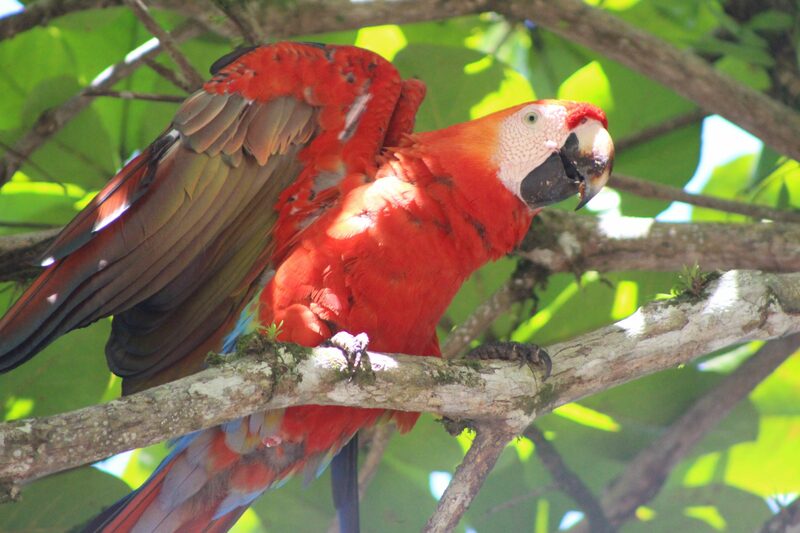 Corcovado National Park is one of the biggest tropical rainforests of Central America. 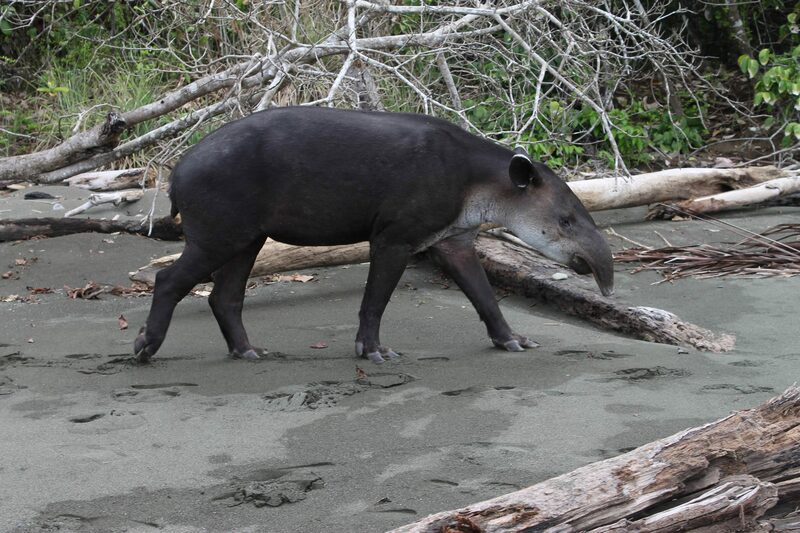 It has a reknown biodiversity and you can find in it species like the Baird’s Tapir or the Tamandua anteater. “National Geographic” has categorized the park as one of the most biologically intense of the world. 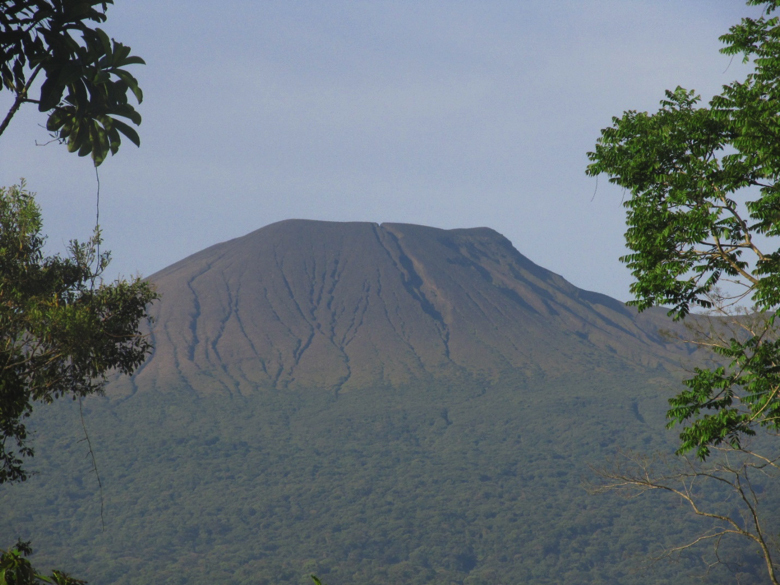 You will have two days to explore the Osa Peninsula and Corcovado National Park. 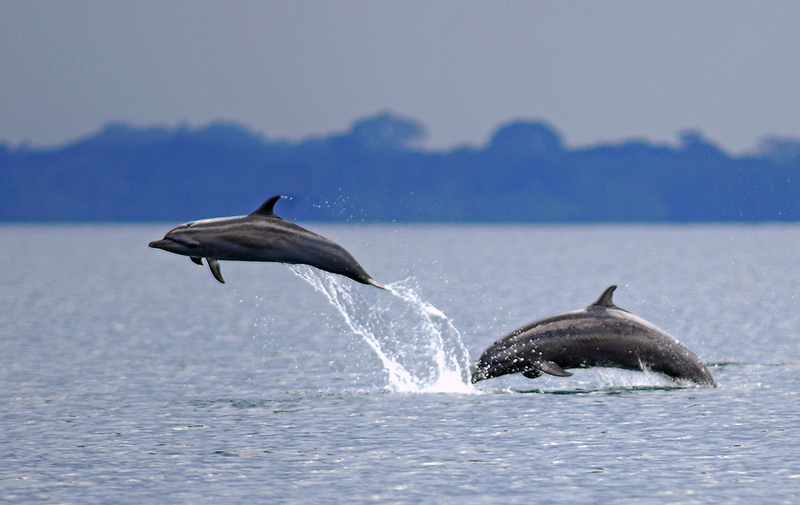 There are many recommended activities: you can stay at the beach, do some kayak in the ocean or take a tour: you can visit the local eco-touristic projects for a hike in Madre Selva or the majestic Chocuaco Lagoon. A nature hike in the Park’s trails is actually included. 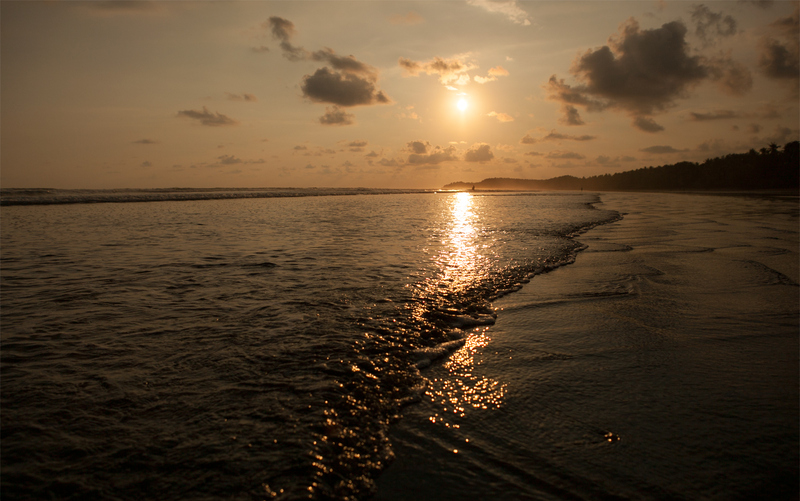 This is our top 1 must see place in Costa Rica! The island is a perfect spot for snorkel or scuba diving, since it contains some of the most abundant and varied marine life in the world! 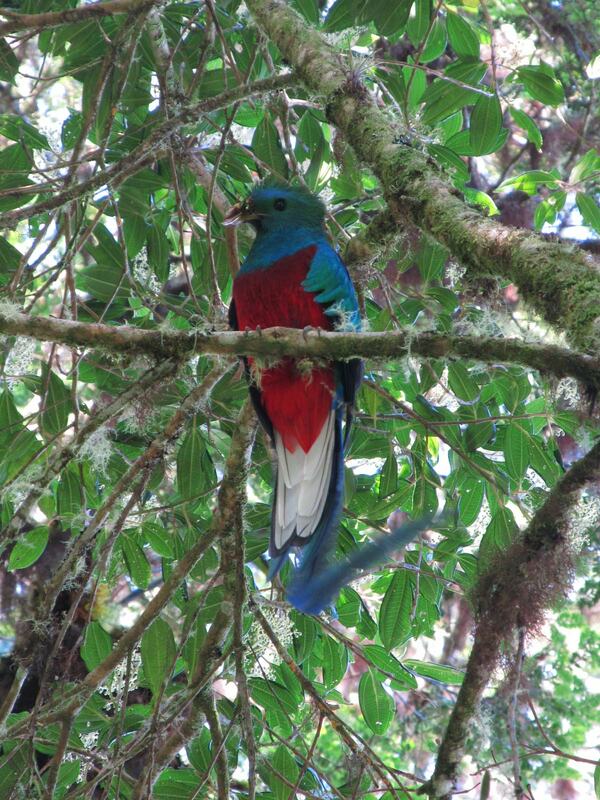 Today you will have an early morning for a quick hike so you can go search for the quetzal, an amazing green trogon with a long tail and a red chest that many consider among the most beautiful of the world: you can do so in the trails of the hotel, although you could also visit the National Park Los Quetzales and hike the cloud forest, rich in oaks, cypress and aguacatillo trees, a species related to the avocado that the Quetzal really likes. YOU HAVE TO FLY BACK HOME AND TELL ALL YOUR FRIENDS ABOUT YOUR AMAZING EXPERIENCE, EXPLORING COSTA RICA WITH ELEMENTO NATURAL! You will transfer back to the international airport…. SEE YOU NEXT YEAR!!! HAVE A GOOD FLIGHT HOME!!! We came from the United States to visit beautiful Costa Rica for 9 days. Roberto put together our entire visit and it was fantastic! Every detail was perfect. Everything was on time! Thank you Roberto and Elemento Natural! I can’t express enough gratitude for all of what you done for me on this trip. This would not have been a good trip of it wasn’t for you. I will definitely reach out to you again the next time I come to Costa Rica. I will also recommend you to all of my friends who come down here. Pura Vida!!! Merry Christmas to you and the whole team. 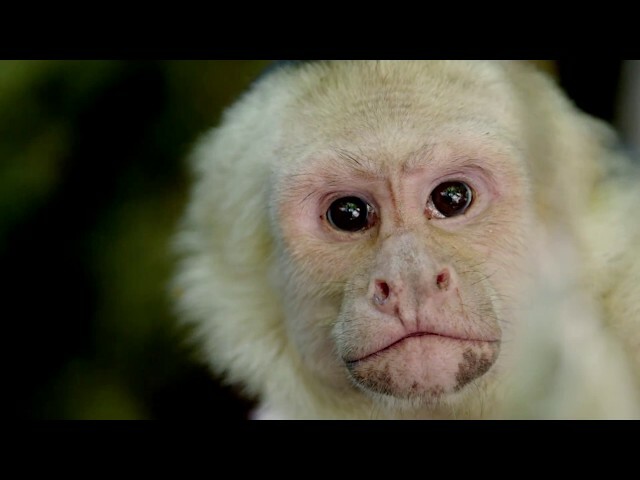 We keep excellent memories of our stay in Costa Rica, all thanks to you. It was an unforgettable experience that we would love to repeat. Far and away the nicest hotel room I've ever had.....I hired a great tour guide, gave him a price range for the three days, and told him I was a princess.... Clearly he believed me. Lol. We had a fabulous trip. The rides and hotels all worked out quite well and everything went smoothly. Thank you for all your help. It made everything easier for us to enjoy our time and not be figuring it out as we go along.